So I discovered these two instruments somewhat by chance - the Les Paul style one fairly recently, while the SG I’ve now come across a few times. The Daniels LP style guitar is actually a couple of years old while the Gibson is the ridiculously limited Billy Gibbons Ultimate SG from the Neiman Marcus Christmas Catalogue back in 2015 - and which retailed for a hefty $30,000 back then. The LP-style is a one-off custom build by UK luthier Darren Daniels whose prices are supposedly relatively reasonable - and vary based on materials chosen and time taken for build. His ’Gold Top’ paint jobs are superb per this reference example - price on application obviously. 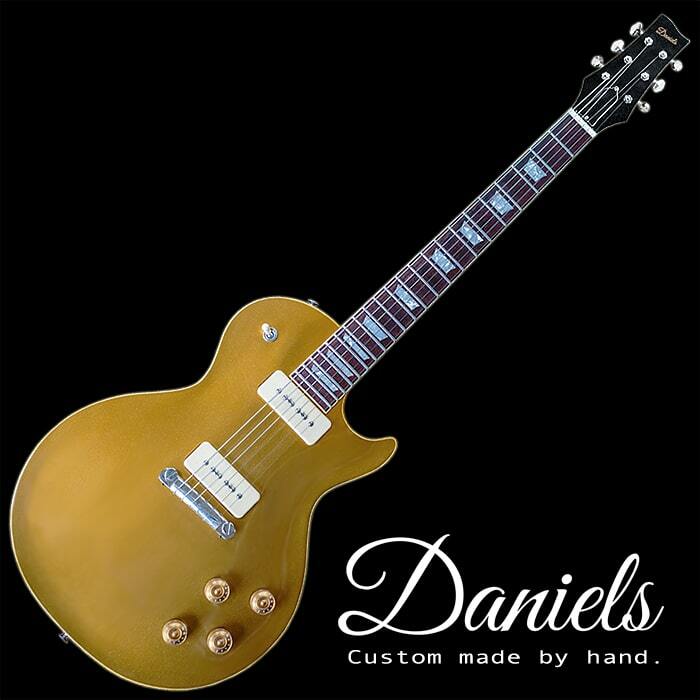 The referenced Gold Top is one owned and demo’d by YouTuber Guitarist Mike Bradley. Each of these guitars solves some of the issues I generally have with Gibson guitars - in particular the unergonomic default rectangular headstocks which are such a big part of the problem with tuning stability for those sorts of guitars. Also when I did my last SG overview I realised how much I disliked the traditional SG output jack placement on the top face rather than side / bottom edge of the guitar. In terms of looks I’m really into both guitars, while it’s been difficult to trace a video for the Neiman Marcus SG - I have found another video where Billy Gibbons plays a similar shaped black SG but without the side-pull vibrato unit as that thing seems to be called. The one weakness of both these guitars is the lack of proper Locking Tuners and Strap Locks which can undoubtedly be arranged for a custom Daniels guitar, while I never see myself owning an Instrument in the $30K price range! 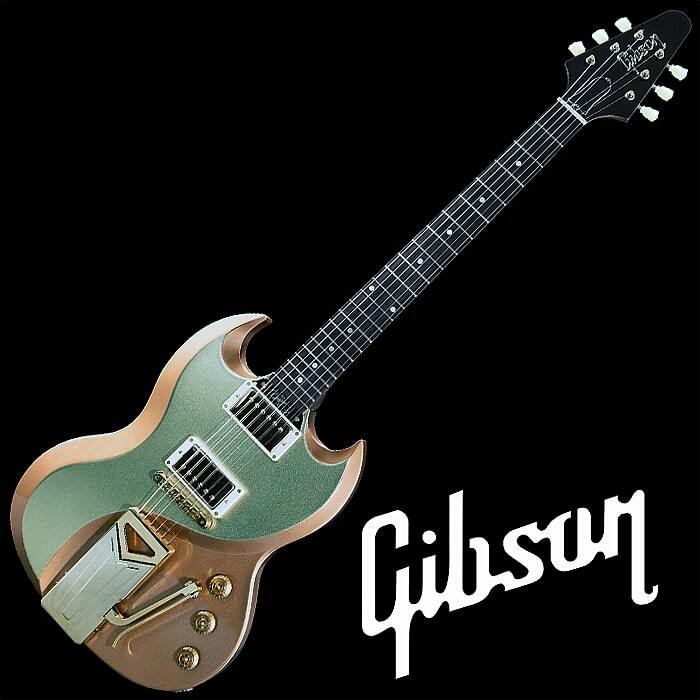 There will be a lot of purists who turn their noses up at this guitar - with most of the usual classic SG specs bar a very unusual 2-tone carved top and equally unusual ultra modern Bigsby-ish Side-Pull Vibrato Unit and actually Gibson Flying V style headstock. Even with the ability and adaptability of the String Butler system, I see no reason why I should buy a guitar with a flawed headstock design - and the classic and still core Gibson headstock is a total ergonomic failure in ensuring perpendicularity of string-glide through nut - and therefore lacks tuning stability. More modern guitars like PRS and MusicMan in particular have solved that issue - as does Gibson's own inverted V-style headstock - which looks perfectly at ease on an SG. We also have the output jack in a modern position here on the side rather than on top, and some properly modern and articulate Humbuckers. I will never own such a guitar - even if I had $30K lying around to spend as I wish - I could get a master luthier to make me an equivalent looking / functioning instrument for a lot less - the economics of those super-expensive guitars rarely make sense. I was unable to find a video of the above model in use so I've selected a video which shows another similar-shaped Billy Gibbons SG - minus the trem bridge - in a a more subtle all-black colorway. Scale Length : 24 3/4"
Mike Bradley totally put me on the trail of this one - he has the model referenced and demos it every now and again per the above video. This is just a beautiful authentic replica of a classic 1954 Les Paul - with period correct features - P90 pickups etc. with the exception of the ergonomically improved headstock. The headstock has a properly engineered tapered trapezoidal shape to ensure perfectly perpendicular nut-glide-through of the strings - which is something that all traditional Les Pauls singularly fail at accomplishing. If you covered up the headstock - everything else here would make you think this was an authentic Les Paul - I much prefer this more modern style of headstock - I would probably change the bridge for a more Tune-o-matic with saddles style for better intonation - and as per the SG I would swap in proper locking tuners and strap lock buttons (Schaller). Other than those fairly minor changes I would be quite happy to have this instrument as is - with its just right Gold Top paint job. Part of me quite wants a version with PAF style humbuckers - but these Mojo P90's sound pretty spectacular too. In my previous guitar overviews for SG and Les Paul style guitars - I said I would probably get a PRS McCarhy or SingleCut style LP-type and a Framus Phil-X SG type guitar. Yet I really like the look of the two guitars featured above. I also mentioned in my piece on Guitar Diy, Mods and Kits that I would quite like to do a Jimmy Page style upgrade job on a PRS S2 Singlecut - all these remain valid choices. At heart I am a double-cut guitar type of fellow - and I really like the more modern guitars from the likes of PRS, MusicMan, Ibanez and Schecter - but part of me still likes other body shapes too - LP and SG and headless styles included.